Now that we’ve had a chance to see actual post-Durbin processing volume, data shows that most businesses save significantly on debit volume thanks to the Durbin Amendment. The only exception to this is businesses with small tickets, or those on tiered pricing. Small ticket merchants have seen costs increase because of Durbin, and merchants on tiered pricing allow their processors to pocket their Durbin savings. We caught a processor in the act of pocketing Durbin savings, and we saved the business 43% when all was said and done. As this success story shows, a low rate is just the start of savings. A competitive pricing model and fair terms produce savings, too. 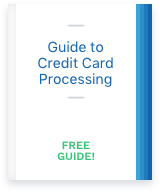 One small business finds out just how helpful CardFellow can be when it comes to saving you money on processing fees. In some cases, your business can charge customers a convenience fee for using a credit card, but there’s a maze of rules, exceptions and even state laws to navigate to ensure you stay compliant with the terms of your merchant processing agreement. If you accept Mastercard at your business, chances are you’ve seen a Network Access Brand Usage (NABU) fee on your credit card processing statement. A debit card can be processed as either a signature or PIN-based transaction and your business will incur different charges depending on which method you use. Mastercard’s Cross Border Fee is one of many possible assessment fees. If you accept Mastercard at your business, you may see a cross border fee on processing statements. The phrase “less discount paid” on a processing statement can be confusing. It actually means the amount that you’ve paid in processing fees already.